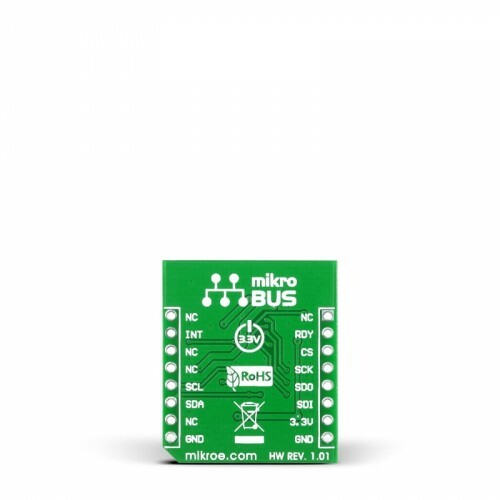 Gyro Click is an add-on board in mikroBUS form factor. 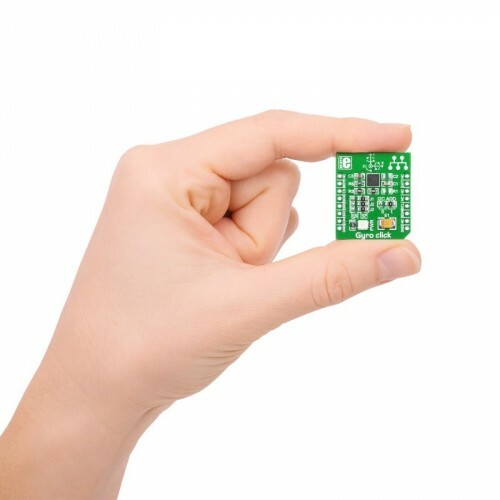 It features L3GD20 three-axis digital gyroscope module capable of providing the measured angular rate, as well as ambient temperature. The L3GD20 has a full scale of ±250 / ±500 / ±2000 dps and is capable of measuring rates with a user-selectable bandwidth. 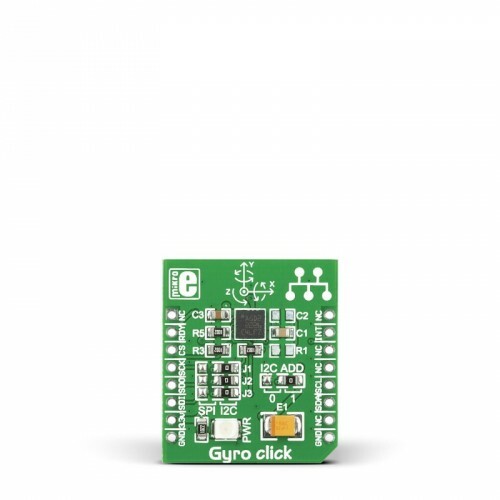 Gyro Click™ communicates with the target board microcontroller via mikroBUS™ SPI (MOSI, MISO, SCK, CS), I2C (SDA, SCL), INT and RST lines. 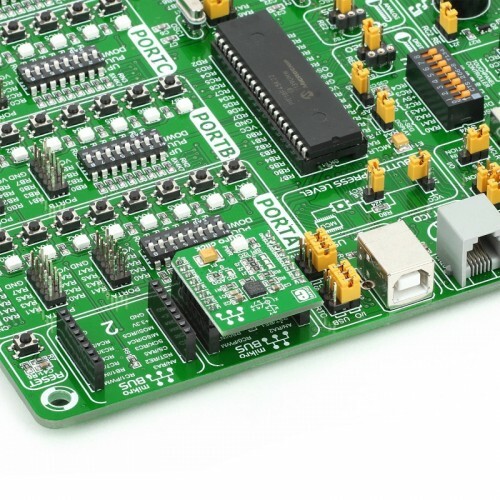 The board is designed to use 3.3V power supply only. All these features make this board ideal for gaming and virtual reality input devices, motion control, GPS navigation systems and more.